Home » Blog » What Information Is On Your Credit Report? Your credit report is a report card on your credit activity. While you can get a free copy of your credit report from many sources, not all credit reports are the same and not all sources provide full information. With so many free report providers, how do you know which one is accurate? My guest today stresses it’s important to first understand what’s actually on your credit report. Then you can take action to deal with any errors and omissions. Meg Penstone is a certified credit counsellor at Hoyes Michalos and has over 20 years of experience helping people with financial difficulty. She’s also an expert on credit reports. Personal Information: This contains things like your name, address, date of birth, employment status, current employment status, and past employment status. Trade Lines: Creditor trade lines are the accounts you have with your lenders and each individual lender reports to the two official credit bureaus: Equifax and TransUnion. These trade lines include the name of the lender, the type of account (credit card, mortgage, installment loan etc. ), the date the account was opened, what your credit limit is, your current account balance, and payment history (are you up-to-date, have you fallen behind, etc.). Inquiry Information: This information is about who has been looking at your credit bureau report. There are two types of inquiries that can be made – a soft inquiry and a hard inquiry. A soft inquiry doesn’t impact your credit score or your ability to borrow. If you check your credit bureau report it’s considered a soft hit. Current creditors just checking in on you or account monitoring are also a soft inquiry and do not affect your credit score. A hard hit is different. A hard inquiry on your credit report happens when you apply for credit and the lender checks your credit report. Notices of hard inquiries can remain on your credit report for up to 36 months and too many hard hits can impact your credit score and ability to borrow. If you go and get a car loan it’s very normal for the lender to register a lien against your car. So if you don’t make payments they have the right to repossess the vehicle if you’re in default. So liens are very normal. It’s very important that all of your information in these sections is correct. Any errors on your credit report can affect your ability to get a loan. There are only two credit bureaus in Canada: Equifax and TransUnion. Lenders report your activity only to them, so if you want the most up-to-date information you should get a free copy of both reports. Equifax and TransUnion are registered with the government of Ontario and are legislated under the consumer reporting act. This act requires these bureaus to do an investigation in a timely manner to get any reporting errors resolved, if you provide them with evidence. If you find an error in your credit report (for example: your consumer proposal is being reported as a bankruptcy) you have the right to file a correction. You can make a correction using their correction/dispute resolution form. Indicate what the error is and provide evidence, like a copy of your certificate of full performance if you filed a consumer proposal rather than a bankruptcy. As mentioned earlier, there are many loan companies like Borrowell, Mogo, and Credit Karma that offer free credit scores and reports. While these can be tempting to use, the reports you receive are usually inaccurate. They typically only present a summary of the information and sometimes it’s out of date or inaccurate. And you also can’t get a correction filed through them. Since these companies are not registered like Equifax and TransUnion, they’re not obligated to provide you with accurate information or to make corrections to their reports. If you find an error on a report by one of these providers, double check your official history with Equifax and TransUnion to see if the error is still there. If it is, contact Equifax and/or TransUnion to fix the issue. How can I ensure a lender always has accurate information about my credit history? To avoid any issues with your credit report when you are applying for a loan, Meg suggests being proactive. Get a copy of your credit bureau report from Equifax or TransUnion and take a look at all of your information. If there are any errors, allow yourself 2-3 months to have them corrected. It could take some time for the agencies to verify the the evidence you’ve submitted, so make sure you have allowed yourself plenty of time to have an accurate credit report, before applying for a loan at the bank. For more details on how to read your credit report, correct errors and understand why you should avoid sharing your personal information to companies offering free credit scores, tune in to today’s podcast or download our Free Credit Rebuilding 101 ebook. FULL TRANSCRIPT – Show 194 What Information Is On Your Credit Report? Doug: It’s fairly easy to get a free copy of your credit report today. Both TransUnion and Equifax will provide you with one free copy a year and you can even apply online. Some financial institutions will also provide you with a free copy of your credit report and there’s a bunch of other services that will also offer a free credit reports. We’re going to talk about those. The problem is many people get these reports but don’t always know what they’re looking at. To make things worse your TransUnion and Equifax report may not even have the same content. So, today to help demystify credit reports we’re going to cover the basics about credit reporting, including what is a credit report, what’s on your credit report, where does the information come from, how can I get a copy of my credit report, how do I correct errors on my credit report? And then with that background we’ll get to the key question what about all these companies that are offering free credit reports? Are they legit? We’ve got lots to talk about today so to help me out I’m joined by one of our Hoyes Michalos credit report experts, Meg Penstone. Meg, welcome to the show. Meg: Thanks Doug, happy to be here. Doug: Meg was a guest way back on show number 74 and this is show number 194 so that was exactly two years ago in January of 2016. Well, I guess it couldn’t have been two years ago we’re almost into the summer here, where we discussed the true cost of debt. At that time, Meg was the manager of financial health and literacy for family counselling and support services in Guelph. In September of 2016 Meg joined the team here at Hoyes Michalos and since then she’s worked closely with me to improve how we help our clients through credit counselling and she’s also done a lot of work with our clients helping them understand their credit reports. So, Meg let’s start with the obvious question what is a credit report? Meg: It’s a bit like report card Doug. It’s a document that has information about you, your credit activity and your current financial situation, your current credit situation. Doug: Okay, so let’s kind of break this down into pieces. So when I think of it there’s kind of like four main sections, I guess you could interpret that differently perhaps but, you know, I’ll put links in the show notes to a credit report so you can see what it looks like. But let’s go through the sections. So I call the first section, you know, identifying information, what do you call it? Meg: I call it personal information but it’s the same thing. Doug: Okay, so we all have our own little words for everything here, so what’s in this personal information section? Meg: So personal information contains things like your name, your address, your date of birth, your employment status, your current employment status and your past employment status. Doug: So obviously you want this to be accurate, why is it important that it’s accurate? Meg: Well you absolutely want it to be accurate because if you they have your name incorrectly misspelled they might misidentify you or if your employment information is wrong then that could impact your ability to borrow. Doug: So you want to have that information correct okay. So I call the second section trade lines, what do you call it? Meg: I call it trade lines too so we’re all on the same page. Doug: So, what exactly is a trade line then? Meg: So, creditor trade lines are the accounts that you have with your lenders and each individual lender reports to your credit bureaus. Equifax and TransUnion are not giving you your scores, they’re just organizing the information. So when a creditor trade line, you’ll have things like the name of the lender, the type of account is a credit card which might be coded as an R, a mortgage or an instalment loan like your car loan would be. It’ll talk about the date that the account was opened, what your credit limit is, your current account balance and your payment history. Are you up to date, have you fallen behind, do you make payments late? Doug: And this is important because again the lenders use it in making lending decisions I guess. Doug: Well and things like the date the account was opened, one of the factors that factors into your credit score is how long you’ve had an account. So if something’s been open longer then you want to make sure that that information’s correct obviously because that could potentially help you. Okay, so the third section, well I think of it as the inquiry information section, I don’t know if it’s actually a separate section on the credit report or not but what’s in that section? Meg: That’s information about who’s been looking at your credit bureau report. Doug: And okay now I know because I’ve been doing this awhile that there’s hard hits and soft hits or hard inquiries and soft inquiries and they have a different impact on you. Walk us through, you know, what’s a soft hit, what’s a hard hit? Meg: Sure. So a soft inquiry doesn’t impact your credit score or your ability to borrow. So, when you want to check your credit bureau report it’s considered a soft hit, it’s not going to impact anything. Current creditors just checking in on you or account monitoring, again a soft hit’s not going to impact you. Inquiries made by companies extending you preapproved credit for a credit card again that would be considered a soft hit. A hard hit is different. That’s when you apply for credit and the lender checks your credit report. That can remain on your credit report for up to 36 months and too many hard hits can impact your credit score and ability to borrow. Some people may interpret that you’re a credit seeker, trying to max out credit or that you may be having some difficulty and really needing to get some credit quickly. Doug: Well and particularly if you’re applying for credit and being turned down then that’s really going to have a negative impact. So, yeah and with soft hits I remember talking to someone from one of the big banks a few years ago and he told me yeah, we do a soft hit on every one of our clients and they’ve got I don’t know two, three million clients, every three months. So, we go in, we just check, has anything radically changed? And if all of a sudden you went from having one credit card with us and now you’ve got five credit cards with a bunch of other people then even though you’re still up to date and making your payments and everything’s great, maybe we need to, you know, raise your interest rate, reduce your credit limit or whatever. So soft inquires do have an impact with the bank you’re with but you’re right they don’t factor in your credit score because it’s not something – you’re not applying for credit and therefore it’s not part of the credit score information. So, okay the final category I mean I call it public records and collections information, I guess you could also call it legal information or something like that, what do we normally see in that section? Meg: So that’s things like bankruptcies or consumer proposals, judgments, so if you’ve been sued and someone has gotten judgment against you that would be in the public record section, past due accounts that have been turned over to collection agencies are in that section. And there’s very normal things like liens so if you go and get a car loan it’s very normal for the lender to register a lien against your car. So if you don’t make payments they have the right to repossess the vehicle if you’re in default. So liens are very normal. Doug: Yeah there’s nothing wrong with a lien. It sounds like a bad thing but you’re not getting a car loan unless they register a lien against your car. Doug: It’s pretty much that simple. So it’s in the legal section, that doesn’t necessarily mean it’s something bad. So, okay we know there’s two main credit bureaus in Canada. Meg: Yep, those are Equifax and TransUnion. Doug: And you already made the comment. I forget how you said it. They are the assemblers of information or something like that. Doug: Am I quoting you accurately? We can play back the tape and see, close enough. So where are they getting this information that they’re assembling then? Meg: Okay, so they get the information from your lenders. The banks will send them data or the credit bureaus, credit unions, sorry, or any other lender. Rogers may send that information over to them and then they organize the information. They receive it and organize it. Doug: So, I mean there’s a key point there and this is something we talk to our clients about all the time, we don’t actually provide information to the credit bureau. So when someone comes into Hoyes Michalos and files a bankruptcy or a consumer proposal, that legal process, that legal proceeding is filed with the Office of the Superintendent of Bankruptcy, it, you know, may get into the court system if needed. It is the Office of the Superintendent of Bankruptcy, which is the federal government, that then reports the fact that you filed a proposal to the credit bureaus. And then when your proposal is done or your bankruptcy is discharged we then report back to the Office of the Superintendent of Bankruptcy saying hey, good you’re done. Here’s the date of discharge and it is they that then report to the credit bureaus. So, we don’t have a direct pipeline to them, which is why and we’ll talk a bit about you know, what do you do when you’ve got errors, it is the credit bureau themselves who ha to be at the frontlines of making any corrections and that. So okay, I want to know if there are any errors or any other problems on my credit report, how do I get a copy of it? Meg: So, the very first thing you do is as you said you get a copy of your credit bureau reports, we always recommend that you get a copy from both Equifax and TransUnion because lenders may report differently on either one of them. You can do it in a variety of ways, you can get it by mail. You can get it by phone, you can get it in person or you can get it online. Sometimes the banks are even helping clients get information on their credit scores and credit bureaus now. Doug: As far as I know there’s two banks, Bank of Nova Scotia and Royal Bank who if you’re a customer of theirs, a client of theirs, through your online banking you can actually get it. So that was a commercial for those two banks, I guess they should pay us for mentioning that. I believe that there is another bank that does offer something similar but they’re doing it through one of these secondary agencies which we’ll talk about in a minute. So I’ll put links in the show notes to how all that works. I mean in your experience what is the success rate of getting these? I mean by mail I assume it’s pretty simple, I print out the form, I, you know, I photocopy my ID so they know who I am, I mail it in, 10 days later it shows up in my mailbox. What – and doing it in person well there’s only a couple of places in Ontario, you’ve got to go to Toronto or Burlington or wherever the locations are. So that’s not a, you know, an obvious thing for most people to do. Doing it online or by phone does it work 100% of the time? Meg: Not 100% of the time. Doug: So what are the glitches? Meg: Sometimes the glitches may be your address doesn’t match up with the address they have or your employment status doesn’t match up or I can’t actually get mine. I’ve tried to get mine online I had a fraud alert put on mine a couple of years ago so I’m not sure if that was impacted my ability to get it online for free. Doug: Or you’ve got a funny spelling of a name. Meg: Exactly, something doesn’t match. Doug: Or your address has, you know, got a suite number or something, who knows? And in fact I wasn’t able to get mine online either because I don’t know why, who knows? And again let’s be very specific here when we’re talking about getting it online, we are not talking about paying to get it online. Doug: You can go through, and I don’t know if you can do it with both Equifax and TransUnion, certainly with TransUnion you can. You log in, you put in all the information, you name whatever, and then it’s going to ask you some verifying questions. What would be an example of a verifying question that it would ask you? Meg: It might ask you where you lived 10 years ago. Doug: So it’ll actually – it’s a multiple choice thing, it’ll give you three different addresses and say did you ever live here? Meg: Right and you have to pick one. Doug: Or have you ever – do you have a credit card with this bank and it’ll list three banks. Doug: And in most cases I’ve seen the answers are pretty obvious. Like it’s okay I’ve never lived in Winnipeg so that can’t be right kind of a thing. And it may be as part of that verification process that it gets gummed up that obviously if you give the wrong answer it won’t. So, both credit bureaus, Equifax and TransUnion, will also offer to sell you your credit report and sell you your credit score. Doug: And they cost $20 or whatever. My attitude is well if you can get it for free why would you pay for it? Meg: That’s right. You have the right to your credit bureau files once a year for free. Doug: And the credit report does not include your credit score, so if you want your credit score then you’ve got use one of these other means like through your bank or actually paying for it. But your credit report is what we’re talking about today and, you know, the reasons that it’s necessary. Okay, so that’s kind of the background that explains the big picture on it. So let’s get to the important question here, I mean you’re one of our credit report experts here at Hoyes Michalos you know, you probably talk to I don’t know a dozen or more clients every week who have questions about their credit report. Some of these people get their credit report from Equifax or TransUnion just like we talked about but a lot of them get it from these free credit monitoring services. So there’s places like Credit Karma and MOGO and Borrowell that offer free credit reports. So you I mean you see a lot of these things, right? Doug: Clients bring them in all the time. So, you know, what’s your opinion of them. Meg: So, in my experience they only present a summary of the information and sometimes it’s out of date or inaccurate. And you also can’t get a correction filed through them. So, I much prefer to go direct to Equifax and TransUnion. That’s where your banks are going to check so you want to go to the source; you want to go to where your banks are going to. Doug: Makes sense. So what do you mean summary information? Meg: So summary information are things like they may call a consumer proposal a bankruptcy. Meg: Yep. A consumer proposal falls under the bankruptcy and insolvency act but it is not a bankruptcy it is different than a bankruptcy but they lump it in as a bankruptcy. Doug: Yeah, a motorcycle and a semi truck are both motor vehicles but they’re not actually the same thing. And I know that that is a huge frustration with our clients. Doug: Because they come in here, they do a consumer proposal, everybody accepts it, they make all the payments, it’s great. You know, they’re really happy and then two years later the proposal’s all paid off and they’re going apply for a car loan and they go into the car dealer and the car dealer’s oh, sorry we can’t give you this because you’re bankrupt. And they’re going well, number one I’m not bankrupt my thing’s done and number two I didn’t go bankrupt, I did a consumer proposal. And so I assume that’s just because again like they’re presenting summary information. Meg: Right. And sometimes at the lender level they’re looking at the Equifax and TransUnion, which has the correct information versus the summary information. So it’s more when the client goes online to their MOGO or their Credit Karma account and then they get concerned that it hasn’t been recorded correctly. But when we actually pull the Equifax and TransUnion files we see that it’s accurate. Public records generally tend to be accurate, it’s more along the creditor trade lines that we see problems. Doug: Okay, so you just hit on the key point there, creditor trade lines. So, if you pull your credit card from Equifax or TransUnion you look at that last section, legal information, public information, public records whatever it will say filed a consumer proposal with Hoyes Michalos on this date, you know, proposal fully performed on this date. But if I go up to the trade lines section and I read, you know, I had a TD Visa, I’m just giving you a hypothetical example here of a bank, and it may say, well you tell me, what would it say? Meg: Yeah sometimes we see the TD accounts marking it as included in the bankruptcy rather than included in the consumer proposal but you as the consumer have the right to correct that. Doug: Have you ever seen TD do it correctly? Ah ha and in my experience and, you know, I hope TD is listening and calls me up and tells me I’m wrong, but in my experience they have one button on their computer when they’re registering a proposal or a bankruptcy and it’s the bankruptcy button. So whether you’ve done a proposal or a bankruptcy that’s what it shows. And I’ve actually talked to people at TD, I haven’t in the last year or two because I got frustrated with it, but I talked to them and they said oh yeah, unfortunately our system’s not very sophisticated, you know, we’re still using DOS or something, I don’t know. And as a result we don’t have the ability to distinguish. And I said oh that’s really interesting so you’re producing false information, you know it’s false, you know it’s impacting the people who are attempting to borrow money and you don’t care. Well, you know, we’re a big organization, blah, blah, blah, blah. Meg: That’s right, it’s very rare that public records is wrong and sometimes the lenders don’t know how to read a credit bureau report, they may be new to the job. Doug: Only been there 20 years so they don’t know what they’re doing, yeah. Meg: So you can point them to the public record’s side, but even before that Doug I would suggest to people that before you go into the lender’s office because that can be worrisome when you sit there and find out that there’s a problem with your credit bureau report, pull them. You get them for free once a year, pull your Equifax and TransUnion. You have the right to file a correction if the information is wrong. Doug: Okay, so why don’t we go right to that then. So how do I do that then? How do I – I find something that’s obviously wrong. Okay, so again in my hypothetical example where this bank who’s initials are TD has recorded my consumer proposal as a bankruptcy, what do I do? Meg: Yep. So normally when you get your credit bureau file in at the very back of it there will be something called a correction form or they may call it a dispute resolution form. And you mark, it’s actually quite simple, let’s say it’s TD because you like TD. Meg: Hypothetical, yeah. You would mark in this was a consumer proposal not a bankruptcy and then you provide some evidence. So we always give our clients their certificate of filing, we give them their discharge papers and we give them a copy of their creditor’s package so it’s very clear that it was a consumer proposal not a bankruptcy. They put that in, they give their ID, they sign it, away it goes and then the Equifax and TransUnion go ahead and do an investigation, get it corrected for you. Doug: And so you got to be proactive. Doug: That’s the bottom line. So okay, so we’ve talked about that, are there any other differences other than producing summary information? And again I’m talking specifically about these free places, you know, the Credit Karma’s of the world, is there anything else you see different? Meg: Well, I think the big difference is that Equifax and TransUnion are registered with the government of Ontario. They are legislated under the consumer reporting act so some of these other free services may not be registered. Why does that matter? Well the act requires certain important things get done. So, if you think there’s something inaccurate about your credit bureau file or it’s incomplete, the act says that in a timely manner, Equifax and TransUnion need to do an investigation if you provide them with some evidence. So they’re not just doing you a favour. They’re not just being good corporate citizens. There’s actually some legislation around that, so there’s teeth. Doug: Are you saying that Equifax is not a good corporate citizen Meg? Are you saying that they’ve had issues in the past with data hacks and other things and what are you saying here? Meg: I say none of that. Doug: If Equifax is listening, Meg Penstone, spelled with an e you could certainly contact her and do whatever you need to do. Okay so what you’re saying quite obviously is go directly to the source for the most accurate and up to date information. Doug: And obviously don’t be releasing your private information to anybody else. And I think I mean this is kind of a very key point here and that is that nothing is free. Back on show 113, which was in October of 2016, my guest was Kerry K Taylor, the author of the Squawk Fox blog and we talked about MOGO, a lender that will give you a free credit score. And I’ve also written about Borrowell, another lender that will give you free access to your Equifax credit score. I’ll put links to both of those items in the show notes but let me make that point again, there’s no free lunch. So, MOGO or Borrowell or Credit Karma has to pay Equifax or TransUnion for access to your credit report and your credit score. They don’t get it for free. So how can they pay for something and then give it away for free? Well, I know the answer to my own question. They know that your credit report is a lost litre. The give it to you for free because they know they can make money off of you in the future. So as Kerry said back on that podcast getting you to sign up for a free credit report helps MOGO because once you’re in the system they now have access to all of your data. Why does that matter? Well, because the more data MOGO can collect on you, the more they can tailor the marketing pitch to you. So think about it, the free credit place now has all of your information, your name, your address and your full credit history. They know your credit score. So now that they know everything about you they can send you a very specific marketing pitch. So if you have good credit you’ll get an email offering you a low interest credit card or mortgage. If you have okay credit well maybe they’ll offer you a higher interest credit card or loan. And if you have a not so great credit well maybe they’ll offer you a payday loan at a higher interest rate or perhaps some credit repair services that you have to pay for. They’re offering you a free credit report to get the data so that they can sell you something. Now maybe you’re fine with that, maybe you want to get loan offers by email. You don’t have to take them, you can say no. But in my experience, they get you at a weak moment and you sign up for a small loan and over a time you graduate to a larger or more expensive loan that you may not need and maybe at higher interest rates than what are charged by the big banks. I get it. These guys are saying they will help you improve your credit score, and maybe that’s true, but they’re also helping you get into more debt, which is how they make money. So okay Meg, that was my, you know, long soliloquy, my long little rant. You know, am I off base here, am I worried about nothing? Or have you seen people who get sucked in with an offer of a free credit report and, you know, they end up worse in the long run? Meg: Doug, you and I have had a lot of conversations about this. I’ve bent your ear several times. My concern is I think we have not a very good job educating the general public when it comes to how the debt system works in Canada. In my experience, very few people realize that a creditor can charge you up to 60% interest annually according to our criminal code. And beyond that there’s actually some exemptions from the criminal code for those short term lenders such as the payday lenders. So when you actually annualize how much interest they’re allowed to charge you it’s in the hundreds of percents. So when these leads are generated for people that are maybe struggling or in a poor financial situation, they may end up borrowing from these high rate lenders and getting themselves into a more difficult debt situation. So I always worry about the education piece. I think we need to be communicating much better about this. Doug: Well and that’s why I’ve got you on the podcast you see and frankly that’s one of the reasons why I brought, you know, you into the fold here and some other people with credit counselling backgrounds because yeah, we’ve got to be explaining this. You get the sales pitch, which is only one side of it, not both sides of it. Okay, let’s finish off with some practical advice. You and I both got to have our rants there so we feel better. I agree with you, payday loans are not a good thing. But let’s give some actual, practical tips then, so for people who are listening. When you’re having a in person credit counselling session, which is how all of them are done here at Hoyes Michalos, what are the kind of tips you’re giving people? Meg: First is go and get a copy of your credit bureau report and take a look at it. It’s actually quite interesting. And you want to do that well before you plan to get credit again. Doug: And that’s a key point. Because if you’re going to mail it away it’s going to take 10 days to get there. Doug: And if the mortgage deal is supposed to close tomorrow and there’s problems on it, you don’t know. So what kind of timeline would you be looking at? So let’s say, you know, I’m thinking of getting a car at some point in the next year. How far in advance do I need to get my credit report to give me time to clean up any mistakes if there’s any on there? Meg: I’d say a couple of months. Doug: A couple of months, okay. So get your credit report, let’s say that takes 10 days. I mean if you manage to get it online or through your bank then it takes 10 seconds. But let’s assume you’re doing it the old fashioned way, you mail it off, it takes a bit of time to get it. There’s some errors, you’ve got to provide the proof, send it back in, so two months, two months before. Meg: Maybe even two or three months because they’ll have to do an investigation so you’re not in control of how quickly that investigation gets done. So you may even want to be safe and back date it a little longer. Doug: Okay, so don’t leave it till the last minutes that’s tip number one. What’s tip number two? Meg: Make sure you check both the credit bureaus. Some people assume that what’s on Equifax is what’s going to be on TransUnion, that’s not true. They may actually report differently and I’ve seen that happen a lot. So get them both and get them from the source, TransUnion and Equifax. Doug: Now you mentioned earlier that by law they have to give me a copy of my credit report once a year. Doug: My understanding is if you go online, like TransUnion for example, and type in your information and get it, it’s actually possible to get it more frequently than once a year because it doesn’t seem like they have any kind of check on it. I’ve talked to people who have said oh yeah, I got it again three months later. Because I guess there’s no human being involved it doesn’t really cost them anything. I’ve always told people on an ongoing basis, so let’s say you’re – okay, I’m getting a loan three or four months from now so I’m going to get both of them, makes sense because one might have an error that the other doesn’t have on it. But let’s say, you know, I’m up and running, things are good, I just want to keep an eye on things. I tell people well, get your Equifax one today, wait six months and get TransUnion and wait six months and get Equifax. And that way you’re getting a credit report every six months but because you’re getting them through different credit bureaus you’re really only getting them once a year from each individual one. Does that makes sense on an ongoing basis? Meg: That makes a lot of sense, yeah. Doug: There you go, so there’s my free tip of the day. Okay, so we talked about, you know, doing it in advance, getting them directly from the source. Now we mentioned this already but the whole dispute resolution process. So summarize what you had already – what we kind of already hit on there. Meg: Sure. If there’s errors on your credit bureau report you have the right to correct them. Now if you have accurate information let’s say you missed a couple of payments and that’s noted on your credit bureau report. You can’t dispute information that’s correct but you certainly have the right to dispute inaccurate information. Doug: So if it’s inaccurate get it corrected, you know? Doug: Pull the paperwork together, send it off and get it done. Okay so that makes sense. Give me another tip. 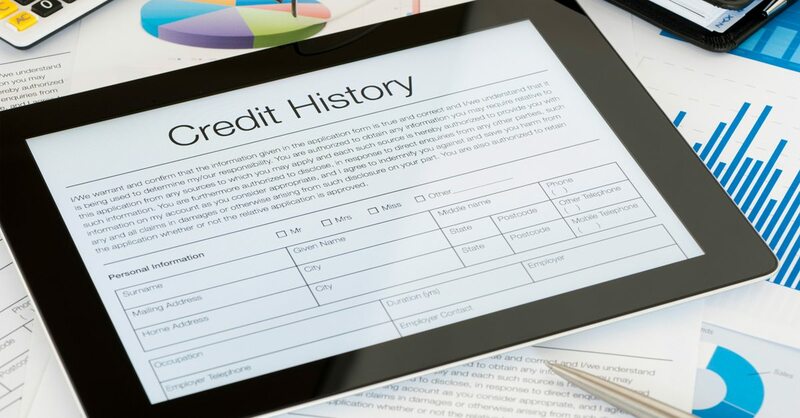 Meg: Again some lenders may not know how to read your credit report correctly so the more familiar you can be with the different sections you can point them in the right direction if there’s some. Doug: Yeah and the obvious error we already talked about was the individual creditor says oh, debt was included in bankruptcy but if you read down to the bottom it’s pretty obvious that you filed a consumer proposal. That’s the kind of obvious error that you’re talking about. Doug: Okay. And so having your actual credit report when you’re sitting there at the car dealership you can say no, no take a look you’re just looking at summary information, here’s the full thing. Okay, so give me your final tip. Meg: So the final tip is we put a lot of weight on your credit bureau reports but creditors look at other things as well and sometimes that’s forgotten. And I like to call those factors the three Cs. So that’s character, capacity, collateral. Character is things like your credit bureau file but it’s also other information like the type of job you have, how long have you been employed for? Do they consider you a stable or do you move around a lot? If you move around a lot a creditor might be concerned that if you start to miss payments you’ll be hard to find. Capacity is your ability to pay so what’s your income, how many people are reliant on that income? How much debt are you currently carrying, how close are you to your limits and how much debt do you actually have access to? So if you have five open credit cards and you’re applying for a mortgage, the mortgage broker or mortgage lender may actually assume that you’ve maxed out all those cards. And the final ones’ collateral. What sort of security can you provide against the loan? So, if you have a nice big down payment against your house, the lenders feel a lot more protected in that situation because they know they’ll always be able to get their money out of it versus someone with just a small deposit. Doug: Well and you’re raising a much bigger point and that is that your credit score itself is not the be all and the end all. There’s a whole bunch more to it. So I think what I’m going to do next week is I’m going to pull Ted Michalos in here and get him to give us his comments on that exact topic because I think that’s a key point. So, since we’re bumping up against the clock here I think that’s a great place to end it. Meg, thanks for being here today. Meg: Thanks again for inviting me Doug. Doug: Excellent, thank you. Well, let me make one final comment here and I agree with Meg that your credit score is only one factor in whether or not you can borrow and in fact I take it one step further with people I talk to and I emphasize the fact that credit scores are for the benefit of the lender not you. I mean frankly you could consider credit scores to be a scam. I discuss the credit score scam in my book, Straight Talk on Your Money, starting on page 48, available at bookstores across Canada now and online. And there’s a kindle or kobo e book and there’s an audio version on audible but I’m digressing here. My point is that your credit report and your credit score is a tool that allows a lender to decide how much money they should lend you. It’s a tool for them to decide how far they can put you in debt. It’s not for your benefit. It’s for their benefit. So don’t obsess over your credit report or your credit score. If you’re going to be borrowing money, as Meg said, get a copy of your credit report directly from Equifax and TransUnion, review it and correct any errors. And don’t fall for the free credit report marketing pitch. That’s our show for today. Full show notes, including a full transcript and lots of links to everything we talked about today can be found on hoyes.com. Next week as I said, we’re going to continue on with this theme of credit and we’re going to answer the question can a bad credit score actually be good for you? We’re going to pick up on a lot of themes that Meg I talked about today. And, you know, spoiler alert yes it can. So you’ll want to tune in for that next week. I release a new show every Saturday morning and you can subscribe for free on iTunes or wherever you get your podcast. So until next week, I’m Doug Hoyes, thanks for listening and that was Debt Free in 30.